For the past four years, the local chapter of GriefShare has provided a support network for Pahrump area residents to turn to when they are drowning in the grief associated with losing a loved one and recently, the group reached an incredible milestone. 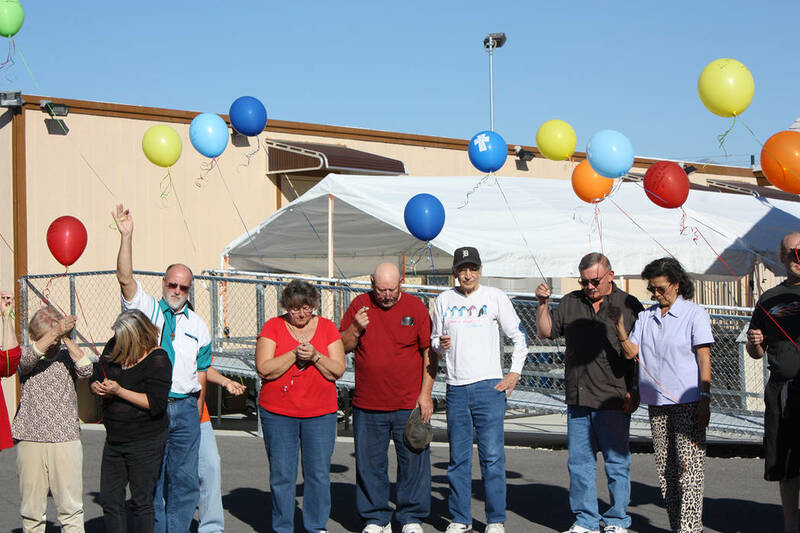 Special to the Pahrump Valley Times Taken in 2016, this photo shows a group of GriefShare participants commemorating the end of their 13-week course with a celebration of life balloon release ceremony. Special to the Pahrump Valley Times Pete Giordano brought GriefShare to Pahrump four years ago after he benefited from the Henderson chapter's sessions following the passing of his wife. His goal is help as many grieving individuals as possible so they can rediscover their hope for the future. As of the end of 2018, over 100 participants had completed the program and are finally able to embrace happiness once more. Pete Giordano, the founder of the GriefShare program here in Pahrump, said it was an achievement that he could not be more proud of and he is eager to spread the word so that even more community members caught in the torrential emotions of mourning can find peace within themselves and the joy of smiling again. “We’ve been doing this for several years now and I am just so happy to say, we’ve had more than 100 people come to our program and come out ready to move on with their lives,” Giordano stated with evident delight. 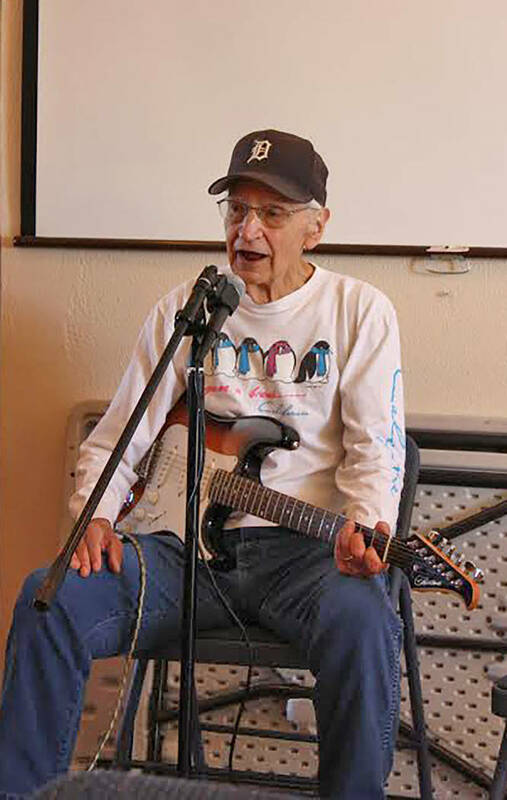 GriefShare may be characterized as a “support group” but Giordano and those who have personally attended the program remarked that it is so much more than just that. The program’s multi-faceted approach to helping those in pain can have a positive impact on anyone who has lost someone they love, whether that person’s grief is fresh or years old. Utilizing video seminars, group discussions and a workbook to encourage personal study and reflection, GriefShare allows participants to express themselves in an atmosphere of understanding. Those involved, be they facilitators or participants, have similar experiences and can better understand the difficulty of healing after loss. One of the most important aspects of GriefShare is the ability for those grieving to join at any time, because tragedy does not come on a schedule. The program runs over the course of 13 weeks and each week is a stand-alone session, meaning participants can start at any point. “You are welcome to begin attending the GriefShare group at any session. Each is self-contained so you do not have to attend in sequence. You will find encouragement and help whenever you begin. You will be able to continue with GriefShare through the next 13-week cycle and view any of the videos you have not seen,” the GriefShare website details. It can be anxiety-inducing to contemplate the idea of beginning with GriefShare, but organizers advocate anyone suffering from loss and struggling to deal with the aftermath to simply go and see what it is all about. “You’ll probably feel a little nervous about going to GriefShare the first time. Those feelings go away quickly for most people, usually during the first session they attend. GriefShare is a warm, caring environment designed to help you,” the GriefShare website reads. When joining GriefShare, participants are able to speak about their pain but this is not a requirement. For many, it can take time to come to a point where they feel comfortable discussing their grief. However, the comfort of being surrounded by others with the same heavy weight of emotion can provide a feeling of safety and kinship, giving people the confidence to express their emotions. The word “family” is commonly associated with GriefShare because those who take part develop true and deep relationships, further helping participants by maintaining the network they have established through their time with the program. As a matter of fact, those who participate in GriefShare often find themselves so attached to the program and its mission that when they have successfully completed their own journey from mourning to joy, they want to aid others and they become facilitators themselves. Anyone in the community who has found themselves caught in the mire of grief following the death of someone they love is encouraged to turn to GriefShare, which in Pahrump is now in week 10 of the current 13-week course. GriefShare is held each Saturday from 1 to 3 p.m. at Central Valley Baptist Church, 3170 S. Blagg Road.